Oh I am so sorry about that nasty mosquito… While living in the humid coastland if Oaxaca, México for a year I experienced those fellas. I had strategies night and day, I had a system for myself with the lights, with my clothing choice and sleeping. Oh boy, people thought I was a goon BUT I had success. 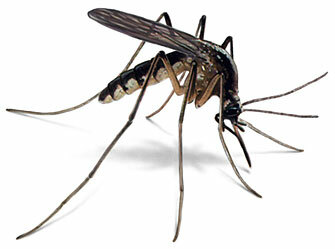 Yes, there is a definite art, science, and war to mosquito killing! LOL. So funny, yet not funny. Love you girl. Thanks Wendy! I had fun writing it, because it IS funny. Except, not, in the middle of the night. Thank goodness for a husband who brings me back to reality from my excessively hypochondriac harm avoidance self! Love you too! This is Wendy Neill by the way. I loved this post. I’m not on Facebook anymore, so this is about the only way I’ll be able to keep up with you guys from now on. But you had me laughing out loud with this one, Elizabeth. I’ve also been dealing with an ingrown/infected toenail, and beyond the pain it’s causing, I’ve had irrational thoughts about what it might lead to. I can only imagine how the fears must be so much worse with children. Probably the only thing that will keep me rushing them to the ER for everything is the exorbitant cost of healthcare! Being a nurse I know some of my fears are irrational but my mother assures me I was like this my whole life! Thank you for letting me know I am not alone! Well I’ll send the thanks right back to you, for letting me know I’m not alone either!